It has become all too common in today’s news to hear reports of surgical patients who have died as a result of doctors removing the wrong organ, leaving surgical instruments inside a patient’s incision area, not to mention having operated on the wrong person entirely. This may seem unthinkable, but it actually happens so frequently that the World Health Organization (WHO) has created surgical checklists that surgeons follow in an attempt to mitigate the volume of these surgical mishaps. According to The Journal of Patient Safety, between 210,000 and 440,000 patients each year who go to the hospital in the U.S. for care suffer some type of preventable harm that contributes to their death. This makes medical errors the third leading cause of death in America, according to the CDC. The NY Times and the JAMA Surgery Network reported a study that concluded there are 1,300 to 2,700 wrong-site procedures annually in the U.S. With this kind of medical track record in our First World Hospitals, the chances of you suffering from even a minor surgical error, are quite high. Here is what you should review after your surgery and what you can do if you believe you suffered a surgical error in Alabama. Many patients ignore certain symptoms by assuming they are side effects of the surgery. You should always discuss with your surgeon what is to be expected after a procedure, and if your symptoms are falling outside of those expectations, seek treatment immediately. Regrettably, medical malpractice often occurs when the surgeon fails to diagnose an infection after surgery. Due to the symptoms mirroring those expected after surgery, surgeons can also fail to diagnose a deep infection, such as staph infection, at the surgical site. Because surgical errors are some the most serious of all medical malpractice claims, even if you do not suffer a fatal injury due to surgical malpractice, it’s possible for you to endure intense pain and suffering. If a piece of medical equipment or a defective surgical device is left inside your body, more often than not these foreign objects can cause organ damage, as well as pain and fatal infections. Such malpractice results in the need for a second, and often times third surgery to correct things. Equating to time off from your job for longer periods of time and drastically affecting your family and earnings potential. Alabama law requires proof that the physician or medical provider breached the appropriate standard of care for those providers in the community. This requires the expert testimony of a similarly situated provider. Bad outcomes do not equate to malpractice which is why nicking another organ during surgery is a hazard of the procedure and not necessarily a breach of the standard of care. All healthcare providers in the State of Alabama are governed by the Alabama Medical Liability Act. If you or someone you love is the victim of medical malpractice in Alabama, contact a Medical Malpractice Lawyer now for a free initial consultation. Our Birmingham based law firm may be able to help you resolve your medical malpractice case and collect compensation for your medical malpractice injury. Although our law firm is based in Birmingham, AL our Medical Malpractice lawyers handle cases throughout the state of Alabama. 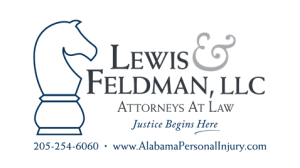 For a case evaluation call Lewis & Feldman, LLC locally at 205-254-6060, toll-free at 888-295-7409 or complete our contact form. You can also email us at jon@LewisAndFeldman.com and dfeldman@LewisAndFeldman.com.